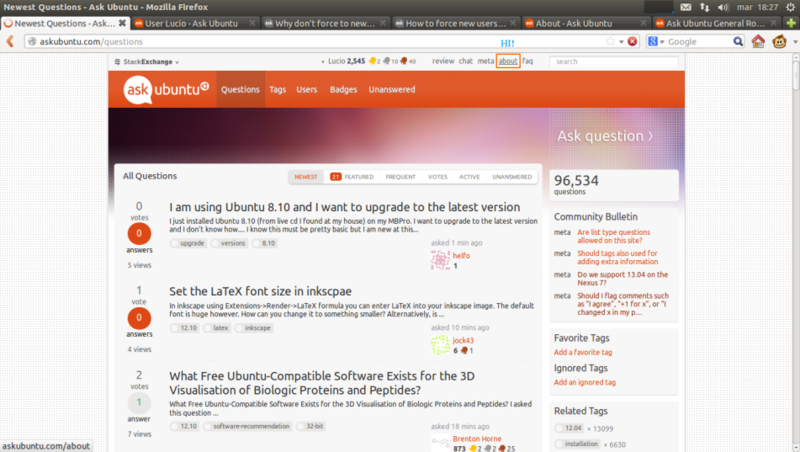 I'm a user of Ask Ubuntu for more than 11 months, and just today I noticed the about page. To be honest, I didn't think that such great content would be in such a little link. This page is very intuitive and it explains how this site works in a very nice way. It is the best page out of all the pages at introducing new users to the site. So I think that the design of this link should be better, so that it could be differentiated from the other ones. If this link had a different design, (I think that) newer users would go there and learn more information about the functionality of this great site. Another alternative is change the title from "About" to "How this site works".